If you have kids, one day they will be moving on from your nest. When this started happening at my house I found myself wondering if I had really covered all the topics. Had I sufficiently marinated them in my philosophy of life? And did any of it stick? 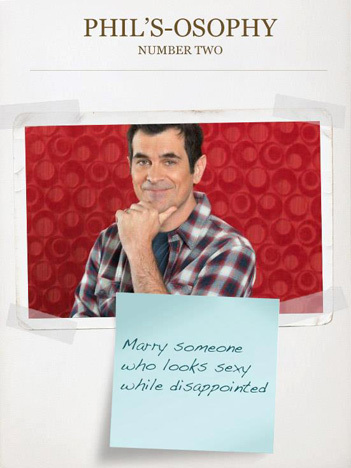 For this reason I had a bit of an epiphany while watching the episode of Modern Family called “Phil’s-osophy”. (By the way, if you are a parent, this show should be required viewing. I have often noticed that in the throes of raising a family, your first defense is a sense of humor). Anyway, in this episode, The family’s oldest daughter sets off for college. 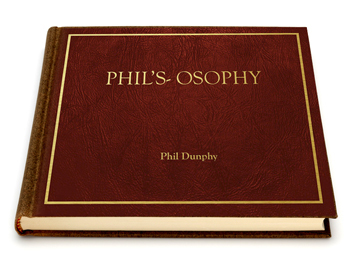 The dad, Phil, creates a book for her called Phil’s-osophy. 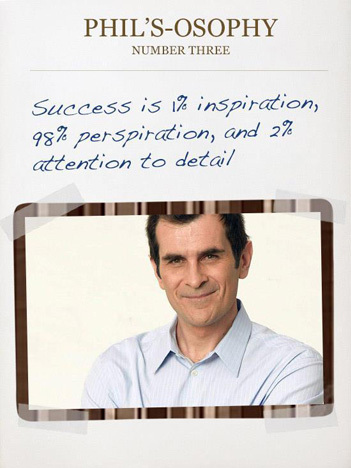 (If you are Phil Dunphy, this title makes perfect sense). 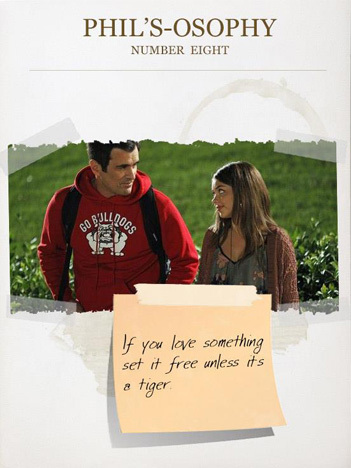 Since Phil is Phil, his words of wisdom are kind of hilarious. But, while it’s all loads of fun, that’s not my point. My point is this: Why not create your own book of philosophy to send along to college with your grad! I just finished a small (5.75″ x 7.75″) 20 page book from My Publisher that cost only $12.99 and it was beautiful! Another very popular book making site is Snapfish. And I know there are many others. The idea is to put together a book of your own words of love and wisdom for your kids flying the coop. Of course you don’t have to use an online publisher, although they are simple, inexpensive, and do a beautiful job with photos. You could consider making a handmade book. It all depends on your inclination, and artsy-crafty prowess. The most amazing things that can happen to a human being will happen to you if you just lower your expectations. Take a lesson from parakeets: If you’re ever feeling lonely, eat in a front of a mirror. Watch a sunrise at least once a day. If you’re ever in a jam, a crayon scrunched up under your nose makes a good pretend mustache. Never be afraid to reach for the stars because even if you fall, you’ll always be wearing a Parentchute™.